Cold War paranoia nearly led to a nuclear disaster 50 years ago, when an American B-52 bomber exploded over Spain and dropped four hydrogen bombs near the tiny village of Palomares. The disaster over Spain had its roots in Cold War tensions between the United States and the Soviet Union. 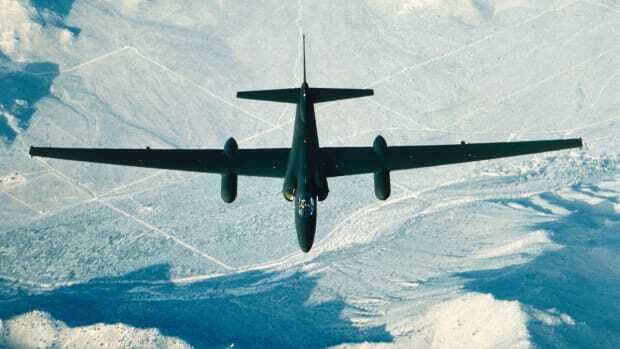 For several years leading up to 1966, the Air Force’s Strategic Air Command had been constantly flying bombers to the fringe of the Iron Curtain as part of “Operation Chrome Dome,” a scheme to give the United States first strike and retaliation capabilities in the event of a nuclear shootout with the Russians. 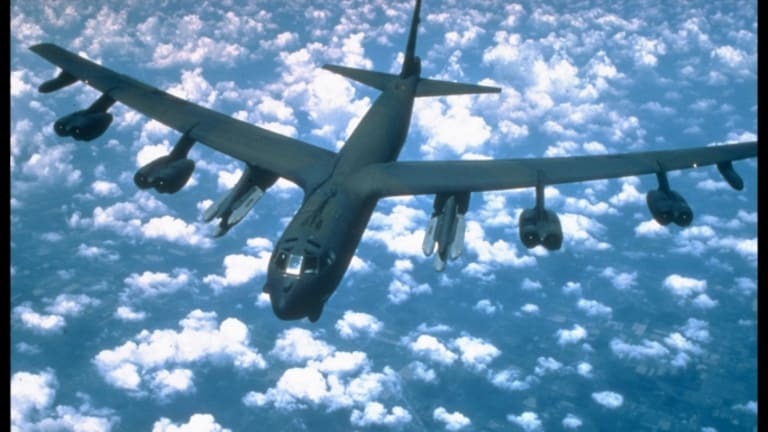 At least a dozen B-52s were patrolling the skies over the Atlantic and Europe around the clock, each with a payload of hydrogen bombs nestled in its belly. At around 10:20 a.m. on January 17, 1966, a B-52 commanded by Captain Charles Wendorf was several hours into a routine “Chrome Dome” overflight. Having taken off from North Carolina and buzzed along the Turkish-Soviet border, the plane now prepared for a midair refuel over the southern coast of Spain. Relief pilot Major Larry Messinger was at the controls as the bomber maneuvered underneath a KC-135 Stratotanker. It was a relatively routine procedure, but as Messinger later told author Barbara Moran, when he tried to position his plane near the tanker’s refueling boom, “all hell seemed to break loose.” For reasons that are still not entirely clear, the B-52 came in too hot and collided with the KC-135, drenching both planes in fuel and triggering an explosion. Messinger, Wendorf and two other men managed to eject or parachute out of their B-52 before it broke apart, but three other crewmen were killed. All four airmen in the KC-135 perished after their tanker was engulfed in flames. Wreckage from the B-52 and KC-135 soon rained down on Palomares, a seaside farming community whose 2,000 residents were known for cultivating tomatoes. “I looked up and saw this huge ball of fire, falling through the sky,” villager Manolo Gonzalez later told Public Radio International. “The two planes were breaking into pieces.” Despite hunks of twisted metal landing near a schoolhouse, no one was killed on the ground, and the four American survivors were soon rescued and taken to a nearby hospital. 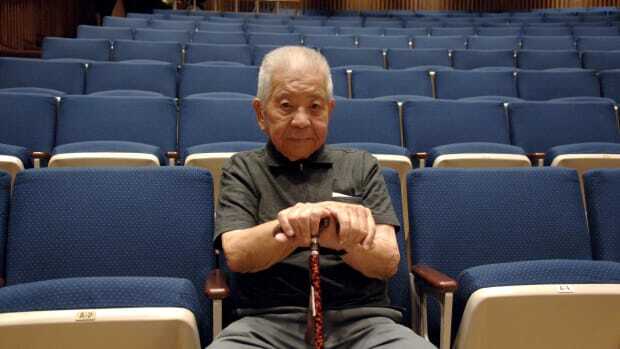 What the villagers didn’t immediately know was that the falling debris had included the B-52’s payload of four Mark 28 thermonuclear weapons—hydrogen bombs with 70 times the destructive power of the device dropped on Hiroshima. One of the weapons parachuted into the Mediterranean a few miles off the coast, while the other three came down in Palomares. None of the bombs produced a nuclear blast, but the conventional explosives on two of them detonated upon impact, dispersing radioactive plutonium dust across the countryside. 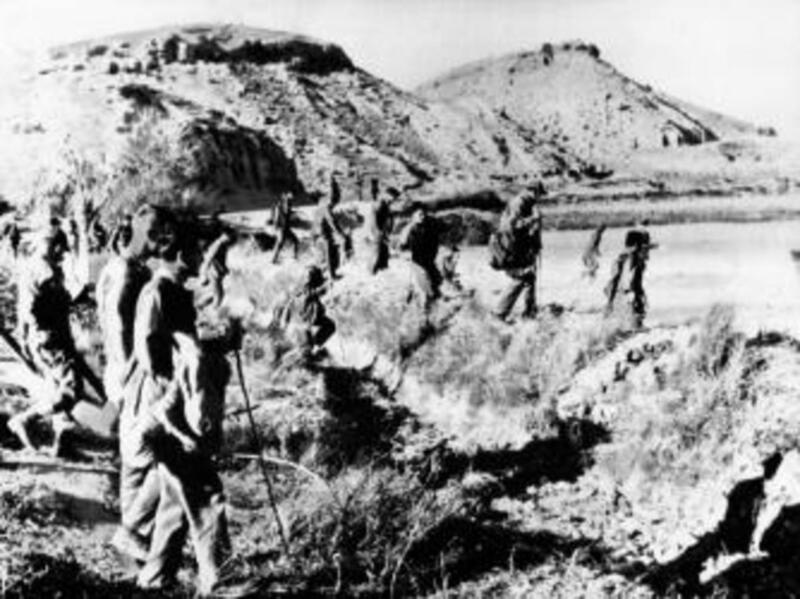 Despite early reports in the media that a nuclear device had been lost, the U.S. military and the regime of Spanish dictator Francisco Franco remained tightlipped about the operations taking place in Palomares. 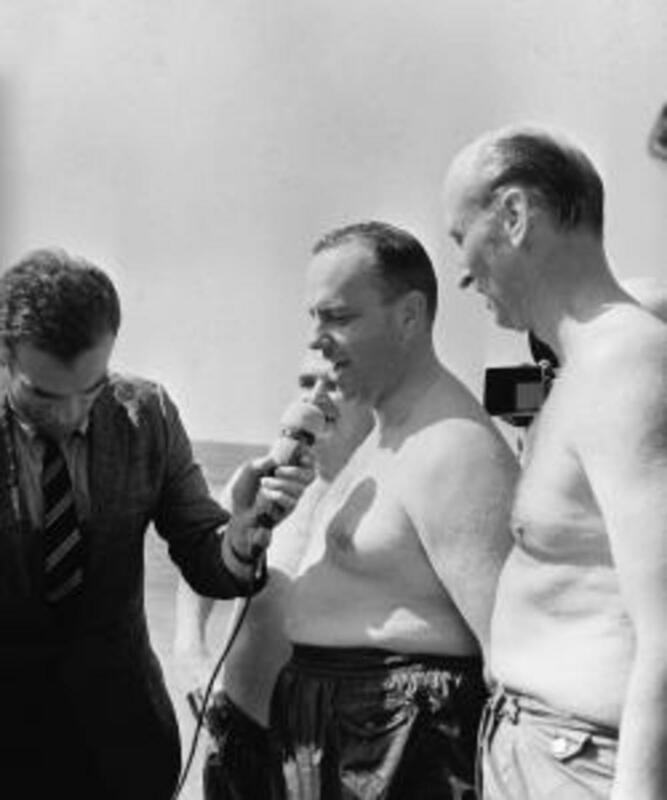 According to journalist Tad Szulc, when asked by a reporter about the search for the missing nuke, one U.S. briefing officer replied, “I don’t know of any missing bomb, but we have not positively identified what I think you think we are looking for.” The halfhearted cover-up only served to drive the rumor mill. 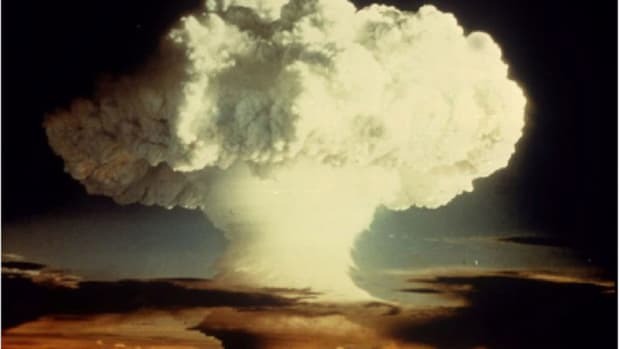 The Soviets’ Radio Moscow broadcasted that the entire area was drenched in “lethal radioactivity,” and an Australian newspaper wrote of a “death rain” from an H-bomb. 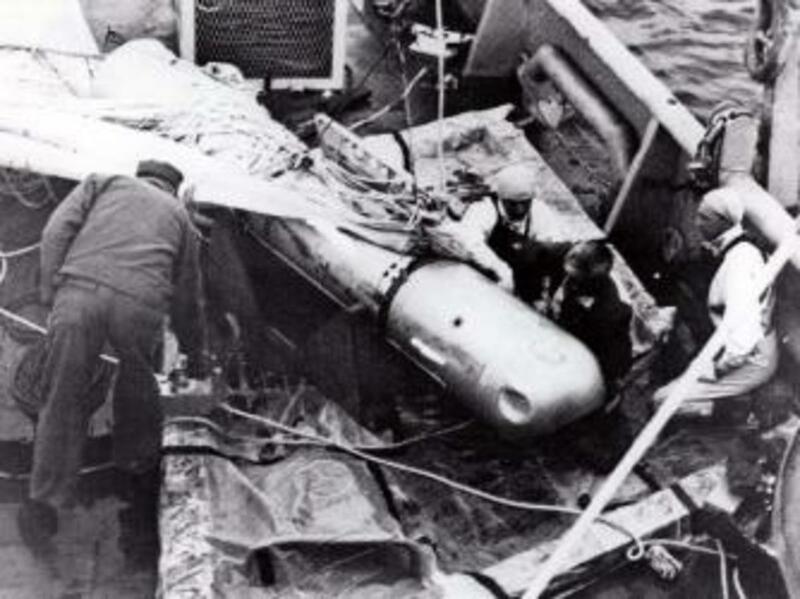 A week after Duke’s photo stunt, the submarine Alvin finally located the missing fourth bomb in 2,500 feet of water some five miles off the coast. Retrieving it proved to be no easy task. 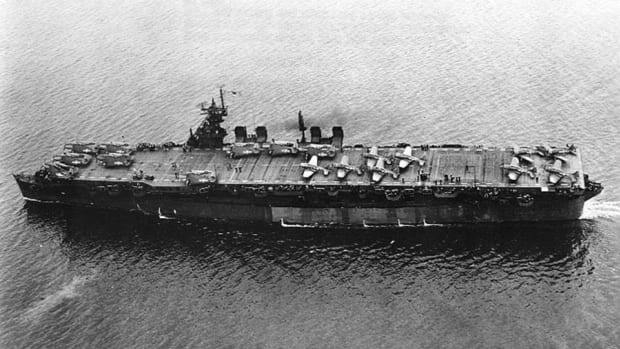 A cable snapped during an attempt to bring it up on March 26, and the Navy task force lost track of the bomb until April 2, when Alvin found it a second time. Finally, on April 7, 1966—nearly three months after the B-52 crash—the waterlogged nuke was successfully winched from the depths and brought aboard the Navy ship USS Petrel. Reporters were allowed to photograph it the following day. According to the New York Times, it was the first time the U.S. military had displayed a nuclear weapon to the public. 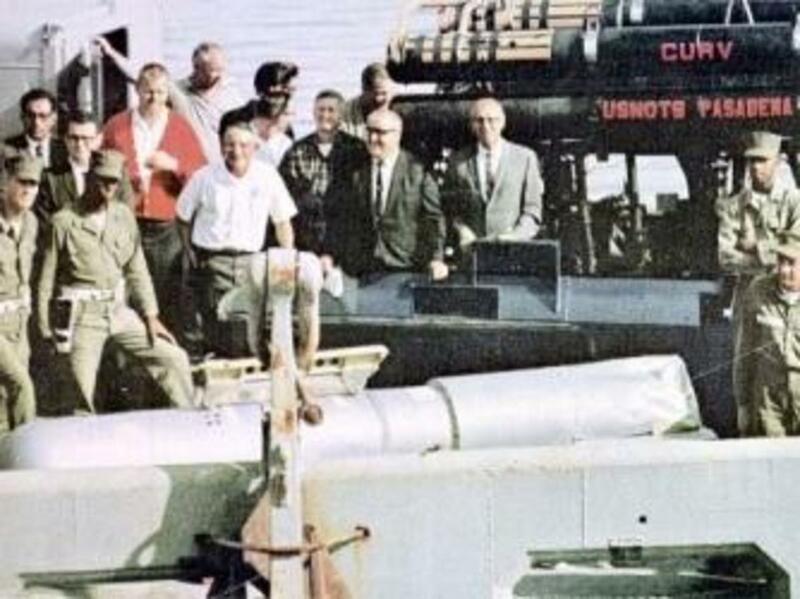 The recovery of the fourth bomb brought a close to one of the largest undersea searches in history, but it wasn’t the end of Palomares’ brush with nuclear disaster. Some 650 acres of local land had been sprayed with radioactive material when the three other weapons landed in town. American troops had conducted a cleanup and hauled away some 1,400 tons of contaminated topsoil and vegetation, but there was still the matter of the residents who had potentially been exposed to carcinogenic plutonium dust. A medical monitoring system was established, and for the last several decades, the United States and Spain have funded annual health checkups on locals. While at least five percent of those screened show traces of plutonium in their bodies, officials maintain that the amount is well below the danger levels. One published study found that Palomares’ cancer rates were no different than those in another Spanish town of a similar size. Despite its relatively clean bill of health, there is evidence that nuclear material still lingers in Palomares. In 2006, the Spanish center for energy research, or CIEMAT, announced the discovery of radioactive snails in the region. 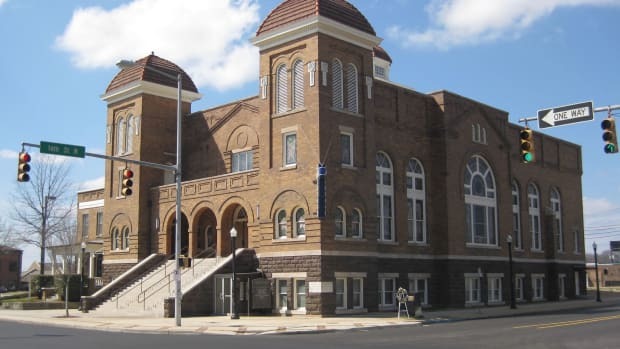 Other examinations have yielded contaminated debris and higher than expected levels of plutonium in the soil, and certain parts of the town remain fenced off and closed to construction to this day. In October 2015, after several years of negotiations, the U.S. government signed a statement of intent to assist Spain in finishing the 50-year-old cleanup process in Palomares. Along with the removal of the town’s nuclear-contaminated soil, the deal also calls for any waste to be disposed of at a site in the United States.